Custom addresses for colleges and universities, conferences, award ceremonies, etc. Mr. Dambach is a knowledgeable and inspirational speaker at local, national and International events and on college campuses on the topics of leadership, service, building peace, and creating climates of respect to improve organizations and increase productivity. His TEDx Talk, Why Not Peace, received rave reviews. It went viral on Facebook, and it is being used in many university classes. Dambach was a featured speaker at the Rotary International Peace Symposium in Sao Paulo, Brazil, and at the Victims Voices Conference in Kampala, Uganda. 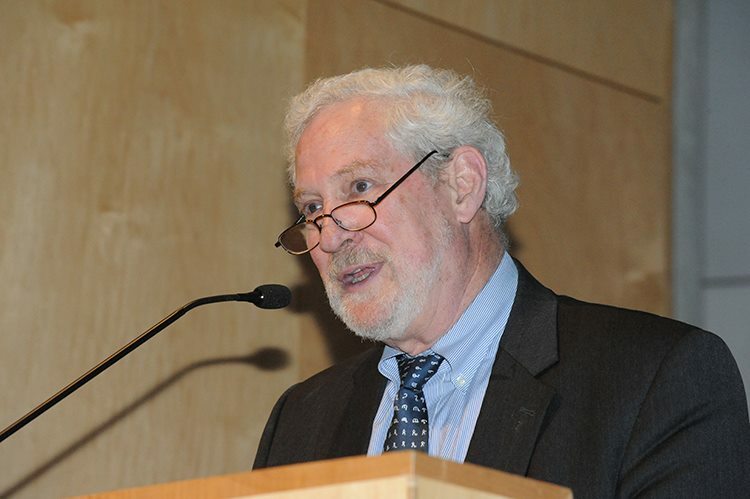 He gave the Peace Corps Human Rights Day Lecture in a dialogue with the Director, Carrie Hessler-Radelet, and he was featured in the Great Names Lecture Series sponsored by the Bethesda Jewish Congregation. He was a keynote speaker for the National Congress of Student Government Associations, and he gave the opening address for the Principia College Public Affairs Conference on Peacebuilding. He was a top rated speaker at the International Platform Association; he was the featured speaker for honors graduates at Oklahoma State University, and he presented the graduation address for the Institute for Conflict Analysis and Resolution at George Mason University. He has lectured at Harvard Law School, College of William and Mary, Brandeis University, Georgetown University, Johns Hopkins University, American University, Rice University, Stanford University, etc. 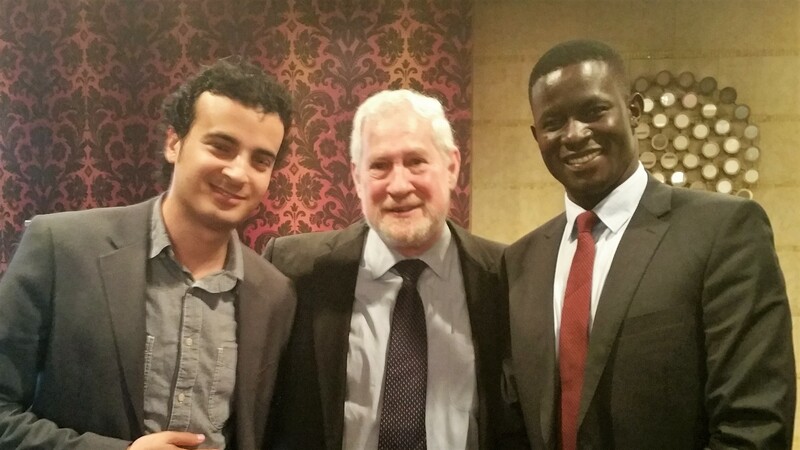 At times he is joined by extraordinary young leaders Maikel Nabil and Victor Ochen. Nabil and Ochen are among the youngest Africans ever nominated for the Nobel Peace Prize. Thirty year old Nabil was a leading figure in the Egyptian youth movement with a massive blog following. While in prison during the 2011 uprising, Nabil endured a widely publicized hunger strike of 130 days. Now living in the US, he continues to be an articulate and inspiring advocate for peace, justice and human rights. At age 35, Ochen is the UN Ambassador for Peace and Justice. He was born and raised in a displaced person’s camp in Northern Uganda and survived an attack by the Lord’s Resistance Army. He created the award winning African Youth Initiative Network, and Forbes Magazine has named him among the ten most powerful people in Africa. He addresses major conferences and assemblies worldwide, and he gave the opening address for the World Humanitarian Summit in Istanbul in 2016.